Our consumers are to be offered only the best. Only first quality raw materials go into the products and expert technical staff closely supervise the entire manufacturing process, ensuring a final product of the highest quality, truly worthy our customers continuing patronage and trust. Our production facilities are state of the art, operating with the latest technology and in accordance with the US GMP as well as the strictest European Economy Community technical and sanitary regulatory requirements. The production process also includes HCCP, the most effective method of maximizing product safety. 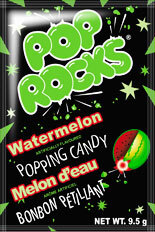 POP ROCKS is is the leading popping candy brand worldwide. POP ROCKS is the original brand and also a national brand that is synonymous with popping candy, with loyal consumers since 1970’s and a wide target audience – from kids to older teens and nostalgic adults. POP ROCKS revolutionized the confectionery industry back in the 70’s when 500 million packages were sold in 18 months, becoming the “the hottest selling candy… in history”. It has since become a national brand full of energy, and a fast selling classic among top quality international confectionery items. 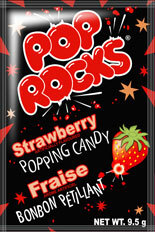 POP ROCKS enjoys a pop culture icon status and phenomenal popularity. POP ROCKS and the little Mikey myth are now part of American culture and a well known dispelled urban legend. POP ROCKS innovates for you. We are committed to offer innovative brand promotions that create fun and excitement for retailers and consumers. POP ROCKS is presented to key audiences in engaging and accesible ways, highlighting POP ROCKS history, pop culture icon status and phenomenal popularity, offering the promise of a great tasting candy and exceptional fun experience.